Sugar Creek Commercial Driving School is now available for the general public. 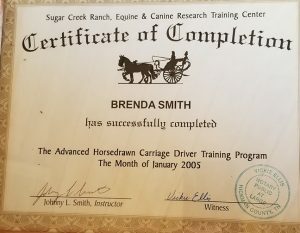 Note: this course is taught by certified instructors that have been trained in safety and know the commercial carriage industry and have the knowledge of Johnny and Brenda Smith as well as Sugar Creek Carriages, and had been compiled throughout the many years within the industry. It is our goal to keep you safe and give you the basics to be safe in the industry. 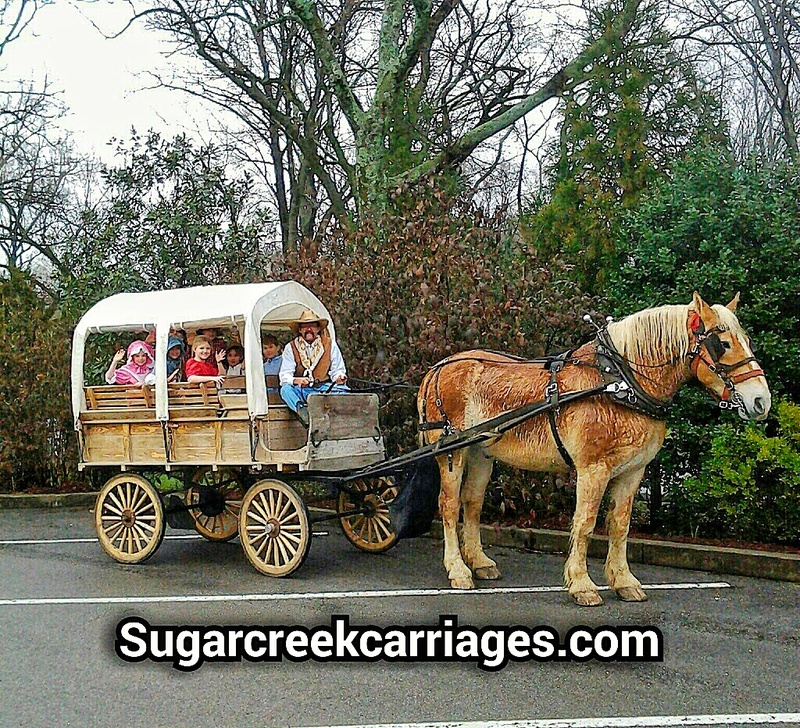 This school is owned and operated by Sugar Creek Carriages. Do you have a love of the gentle ride of a carriage and the clip-clop sounds of the horse? Do you have a sound knowledge of horses and can you relate to their unique emotional needs? 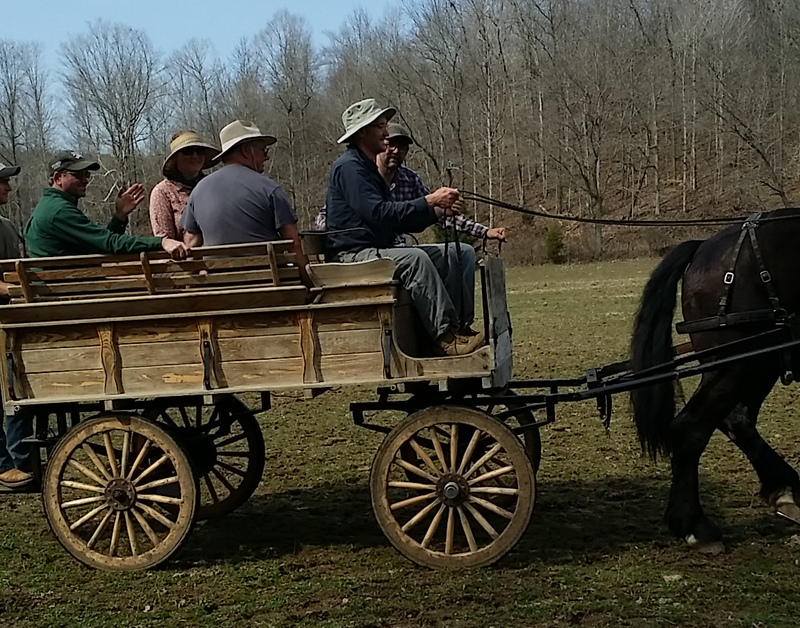 If so, you may want to consider learning to drive a carriage–just for fun–or you may even want to start a carriage driving business. We will teach you. 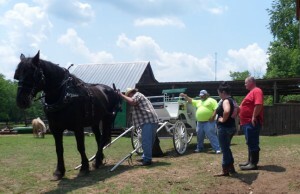 You will be able to drive a carriage in most outdoor situations at the completion of this class. At the completion of this class, you will be prepared to start their own horse-drawn carriage business. The completion of neither class conveys any legal right to drive or start a business in any metropolitan area. Any graduate wishing to start a horse-drawn carriage business must comply with all city, county, and state laws regarding carriage operation and horse management. Your job is to protect your passengers; control is essential. Knowing and using “whoa” “Whoa” and other vocal commands are essential for maintaining control of the horse. 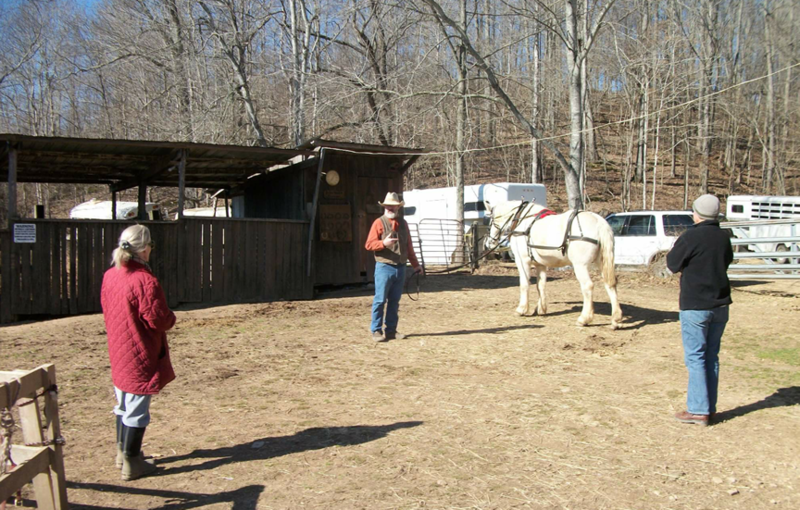 Vocal commands are a major part of controlling driving horses at Sugar Creek Carriages. 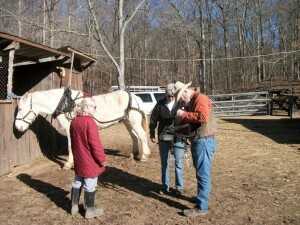 Vocal commands are the first and preferred method of directing the horse. Reins are a secondary control method. Reins reprimand the horse. 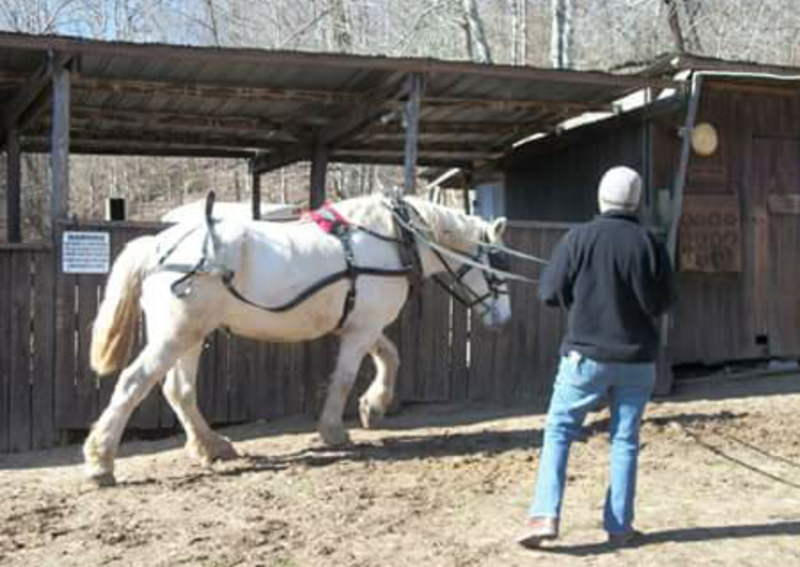 A well-trained driver with a well-trained horse can do all maneuvers with voice and reins. This becomes of critical importance in emergency situations. Horses respond to what they hear much more quickly than by what they feel. 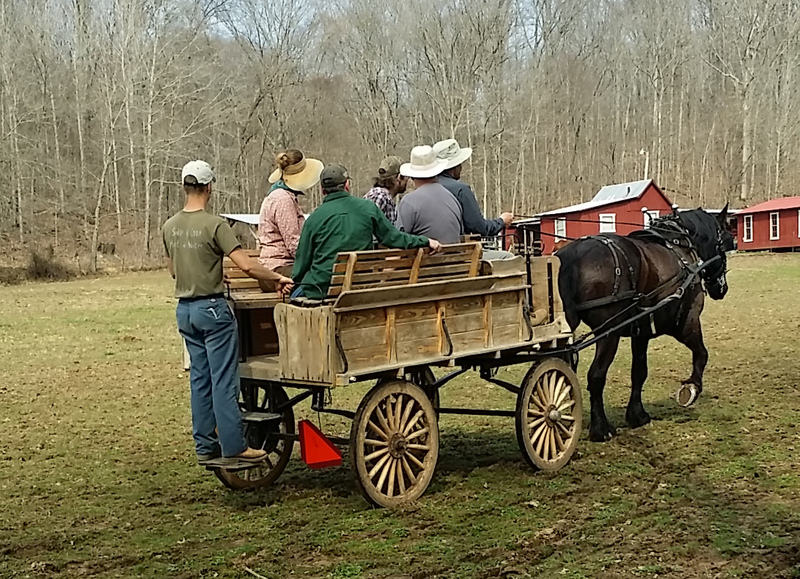 In the 1 week commercial driving course, students will be taught intricate knowledge of how to handle, harness, hook up, and drive a horse-drawn carriage. 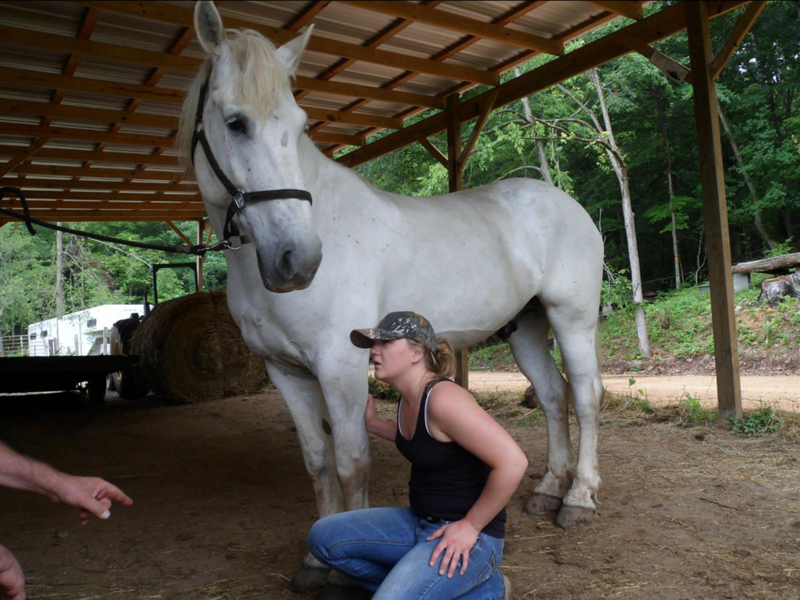 Understanding horse behavior and learning to “read” a horses’ actions will also be taught. 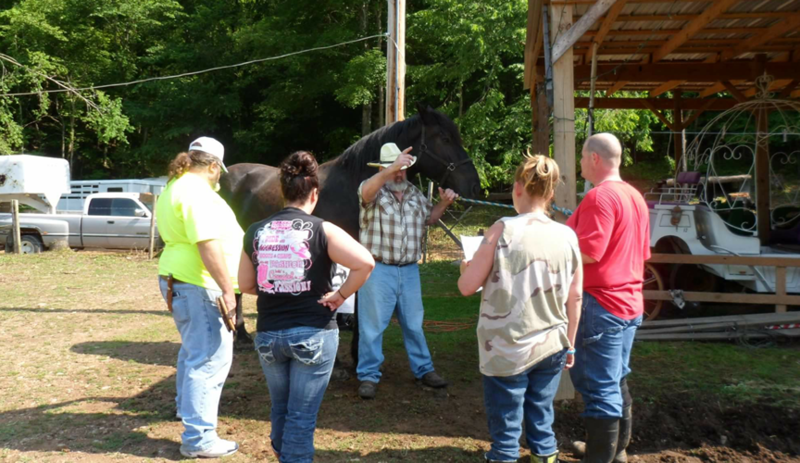 Students will learn how to keep a horse in good health as well as inspection of hooves and shoes. 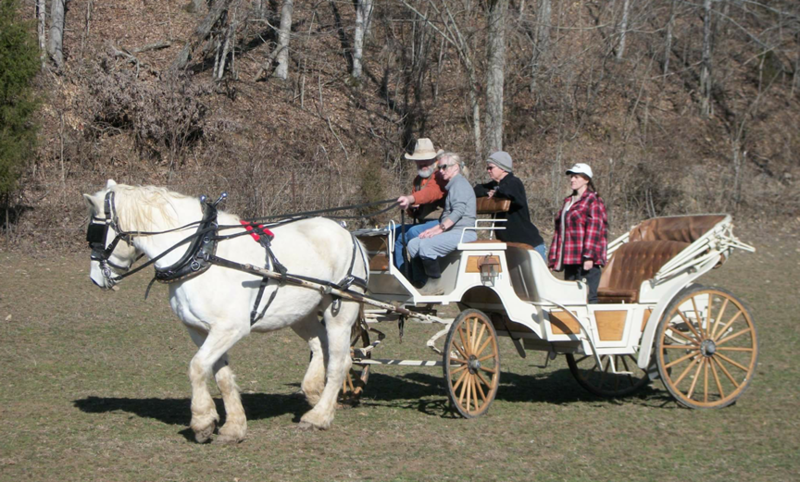 By the end of this course, a student will be able to drive a carriage in most outdoor environments and events. This does not provide the student any legal right to drive a carriage within the district of a Taxi board regulated metropolitan area that has limitations on horse-drawn carriages. Completion of this course will provide the student with a Certificate of Completion. *This is a specialized occupation and is not easy – because you take the course doesn’t guarantee you will be capable of being a commercial carriage driver. Peoples lives are in your hands and you are not just dealing with your own mind but the mind of the horses also. Being a commercial carriage driver, your training does not stop after this course, it continues for as long as you are a commercial driver. 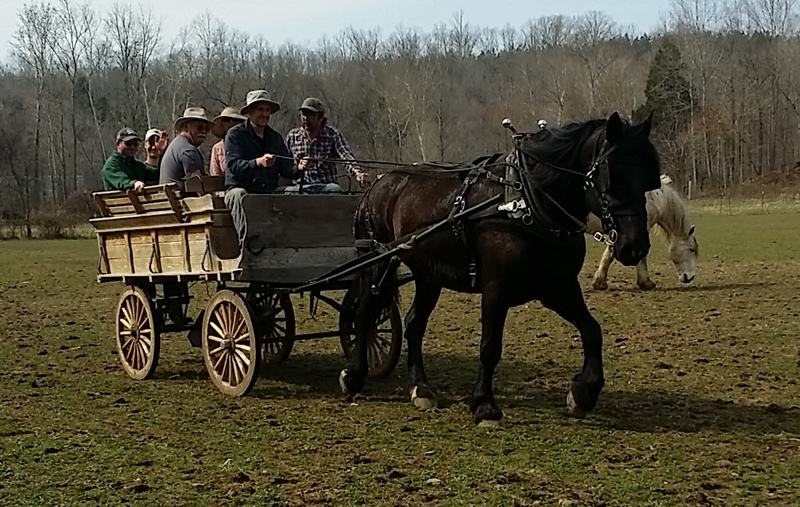 In our advanced (commercial) 1 Week course, we will continue to help you develop an advanced knowledge of how to handle, harness, hook up, and drive a horse-drawn carriage. We will fill in gaps in your understanding of horses and their proper use and care, body language, horse care, and preventative solutions. 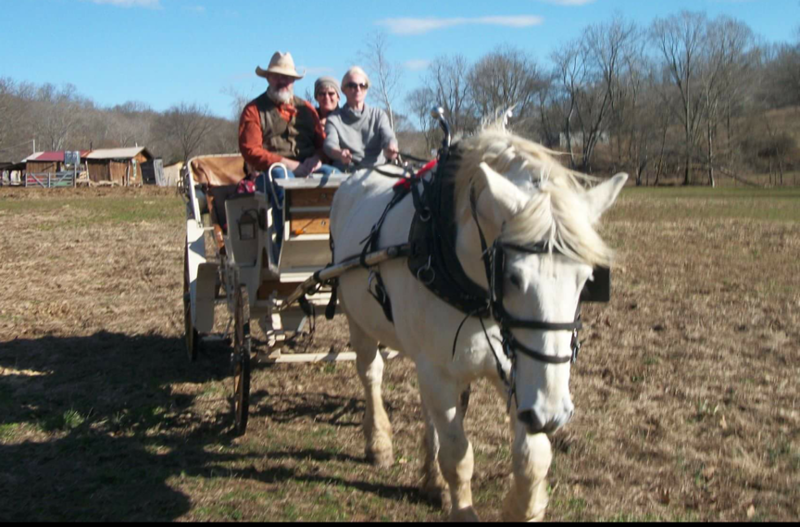 The highlight of this advanced class is learning to drive a horse-drawn carriage in Nashville, Tennessee. 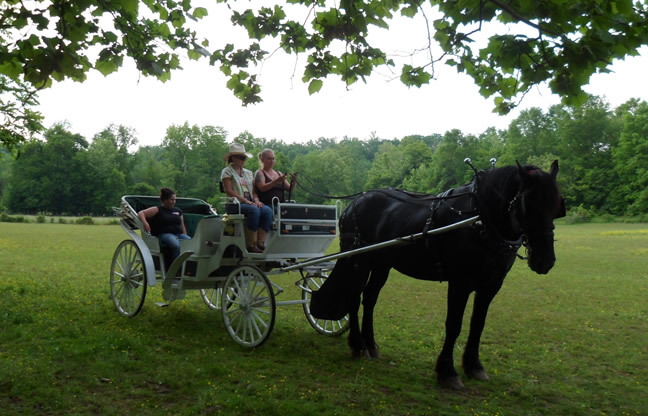 You will learn, hands-on, how to be a professional carriage driver in the urban environment. You will know how to handle customer safety and horse safety. You will know how to maneuver a carriage in traffic while staying in compliance with all traffic laws. You will be able to adapt to different driving conditions and weather. You will be schooled in attracting (and keeping) customers for repeat business. You will learn how to spot potential problems and take preventative actions in any metropolitan area to ensure that your customers enjoy their ride while you provide the security and protection they need. At the end of this course you will receive a diploma in Advanced (Commercial) Horse-Drawn Carriage Driving. You will be qualified to work for any horse-drawn carriage business. 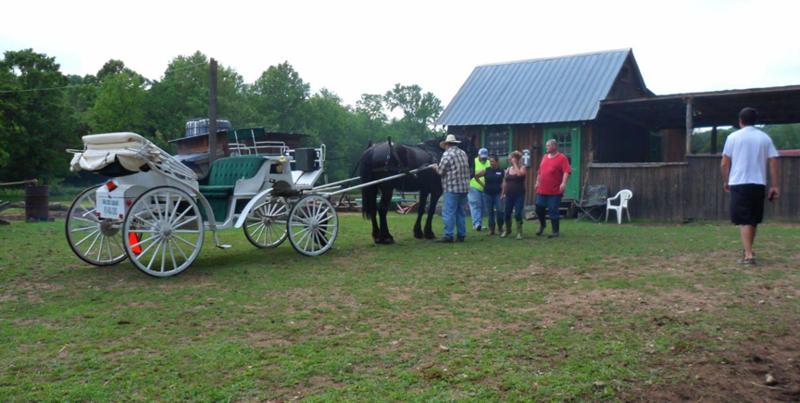 You will have the horse and carriage driving skills needed to start your own business. This does not convey any legal right to drive or start a business in a metropolitan area without first meeting city laws and guidelines. Upon your completion of this course, we will award you with a Certificate of Completion.